Solvent-based repellent for protection of natural stones such as sandstone, travertine, limestone, slate, granite, basalt, terrazzo etc. 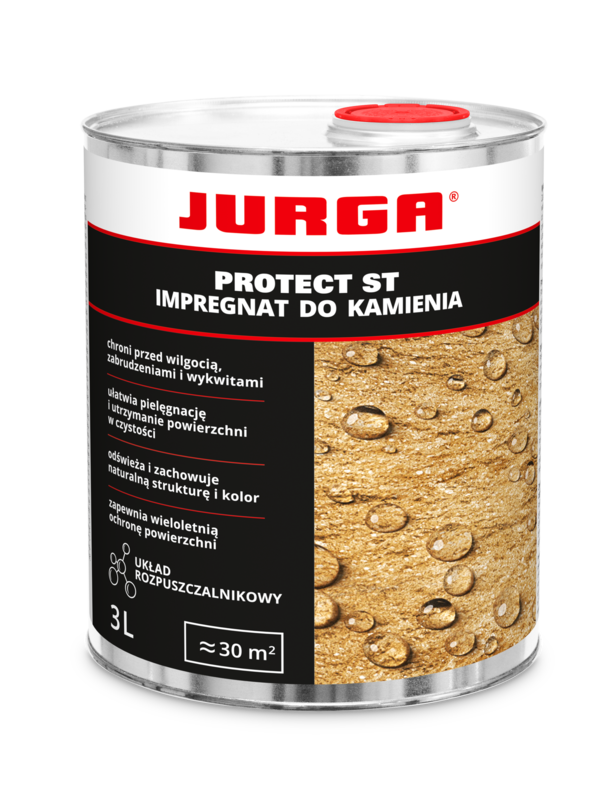 Creates a hydrophobic protective coating that protects the surface against water. Prevents the growth of mold, fungus and moss. Reduces formation of efflorescence. Preserves the natural structure and its colouring.